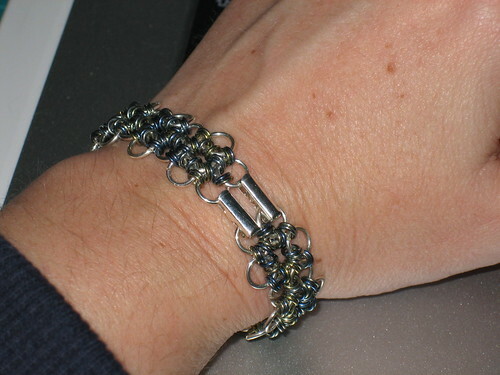 In my fit of creativity last week I also finished up a bracelet that I started quite some time ago. 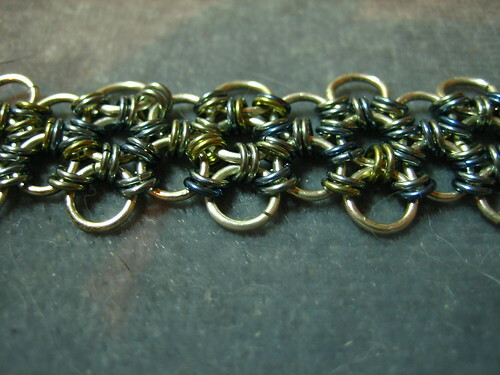 The larger links are sterling that Mom and I made and the tiny ones are niobium (the “air” mix) from Spiderchain. It’s a Japanese 6-in-1 weave and I finished it off with two foldover clasps right next to each other.